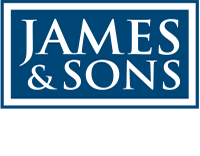 James and Sons are regularly appointed by the president of the Royal Institution of Chartered Surveyors (RICS) to act as arbitrator or independent expert on rent review disputes and on a range of commercial property dispute resolution and other property-related matters. We are also able to act as expert witness on property-related matters, whether this is for rent review disputes, lease renewal disputes or valuation disputes. We are very familiar with the duties of surveyors acting as expert witnesses and in particular, the requirements of part 35 of the Civil Procedure Rules. Do you want to know more about dispute resolution services? Call our team on 01202 673131 or make an enquiry.